We are excited for the new academic year and want to help you prepare your Trac application for the new semester, with this week's Newsletter. You’ll find that it is filled with new information, helpful hints and tips, and even some new feature that you can explore. We want this newsletter to be valuable for you so please, share your feedback and as always please let us know if you have any questions. An important note: Your imports contain student registrations specific to a term, the timing between changing your Term Code and importing your registrations is important. If it is for the first time or have made any changes to the files then IT will need to send Redrock a sample file to create or update your import script. As a SysAdmin- Go to the Trac Navigation -> Tracman Icon -> Utilities and Prefs -> System Prefs Tab -> CurrentTerm -> Change to the new term number -> Save. As a SysAdmin- Go to the Trac Navigation -> Tracman Icon -> Utilities and Prefs -> System Prefs Tab -> SemesterStart/ SemesterEnd -> Change to the new semester start and end date -> Save. As a SysAdmin- Go to the Trac Navigation -> Tracman Icon -> Utilities and Prefs -> Custom Utility -> Standard -> Import Student Data -> Execute. To view the status of you import, click on View Import Status -> click on Execute -> this will display if it has completed. As a Center Profile Admin- Go to the Trac Navigation -> Search Glass -> Center Profile -> click on you Profile -> Sections -> Subcenter Options -> Click on the subcenter name -> Check box in the middle to activate the sections OR to add all the sections to the center Click on Subcenter Options -> Click on “Add These to (Center Name)”. 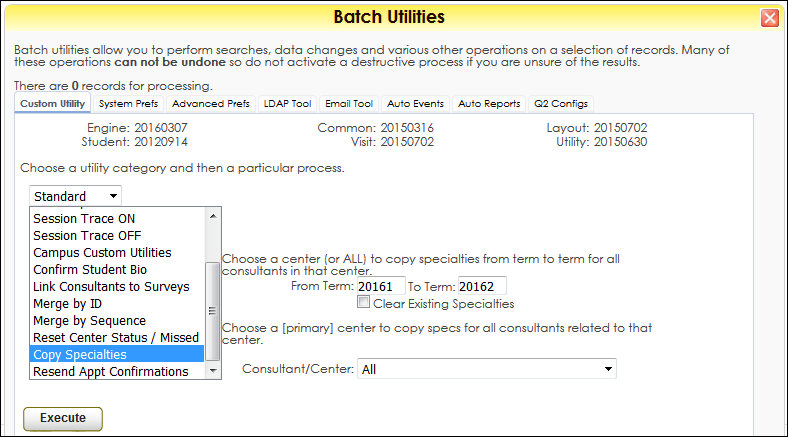 As a Center Profile Admin to add new sections or manually- Go to the Trac Navigation -> Search Glass -> Center Profile -> Click on your Profile -> Consultants Tab -> Section Specialties -> Check box to activate the sections -> Save. As a SysAdmin to copy the consultant specialties from previous term to the new term- Go to the Trac Navigation -> Tracman Icon -> Utilities and Prefs -> Custom Utility -> Standard -> Copy Specialties -> Add the previous Term and the current term -> Execute. First Step as a SysAdmin - Go to the Trac Navigation -> Tracman Icon -> Utilities and Prefs -> Custom Utility -> Standard -> Reset Center Status/Missed -> Check the boxes “Reset Total Missed Count” and “Set Center Status to (leave blank)”-> Execute. Second Step as a Center Profile Admin - Go to the Trac Navigation -> Search Glass -> Center Profile -> Click on you Profile -> Prefs Tab -> Scheduling Tab -> change the date in “Student max missed:” -> Save. Third Step as a SysAdmin - Go to the Trac Navigation -> Search Glass -> Students -> Search for “Inactive” Students -> Trac Navigation -> Tracman Icon -> Utilities and Prefs -> Change Value -> Field: “Special Status”-> Value: (Blank) or Active -> Execute. 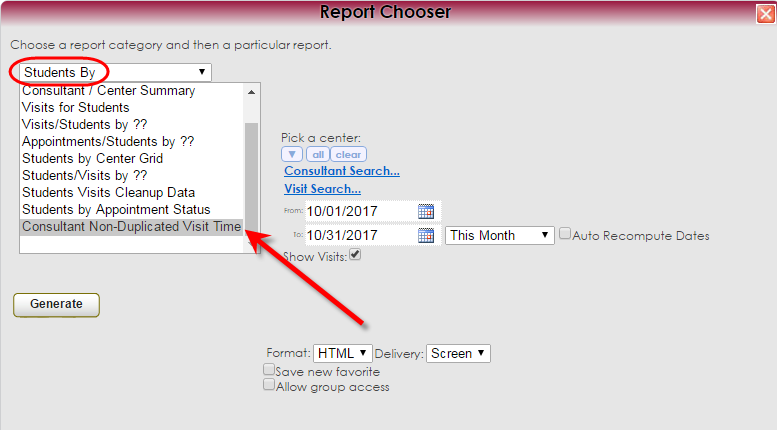 As a Center Profile Admin - Go to the Trac Navigation -> Search Glass -> Center Profile -> Click on your Profile -> Prefs Tab -> Scheduling Tab -> Max Appointment Rules -> Update any date that is using the preference -> Save. 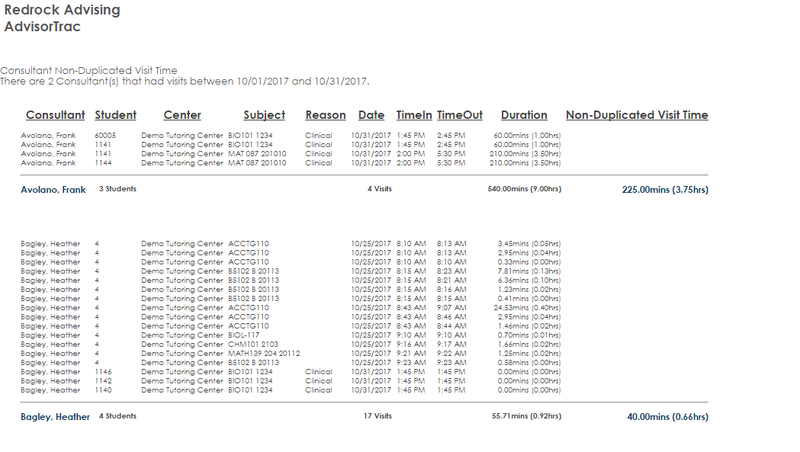 As a Center Profile Admin - Go to the Trac Navigation -> Search Glass -> Center Profile -> Click on your Profile -> Prefs Tab -> Scheduling Tab -> Other Scheduling Block -> Update any date that is using the preference -> Save. SurveyTrac: Find Out What Your Students Are Saying About Your Center! Effective Tutoring/Advising centers make a huge difference in the lives of students; however it can be challenging to understand how students view their learning environments and their Consultants, and to provide actionable feedback to administrators. In this Newsletter we will look at why student survey can be a valuable source of feedback and how that feedback can be used to improve teaching effectiveness and student outcomes. The SurveyTrac module enables surveys to be created and delivered manually or automatically to the Users through the Trac System. These surveys can appear when a student logs in/out, books an appointment, on the student record, or emailed to students to be taken on their own time. 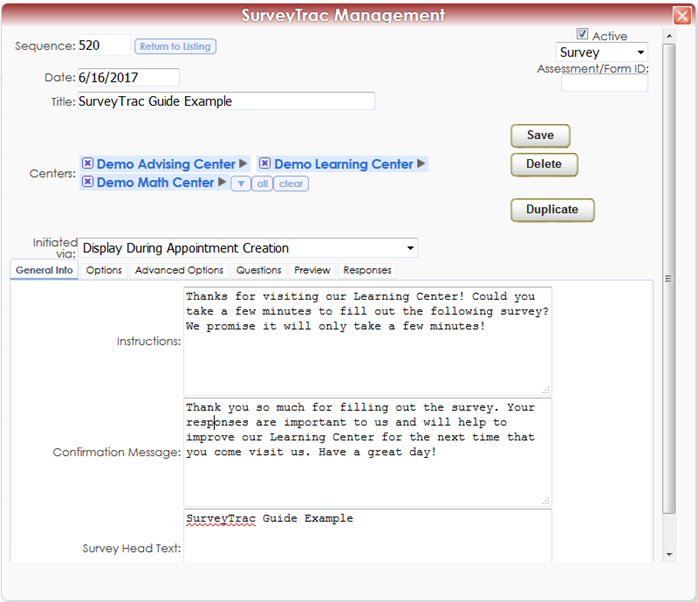 Surveys are completely customizable, and Users can design the types of questions; for example, multiple choice, text fields, dropdown menus, essay, etc… SurveyTrac gives you an opportunity to gather additional feedback from your students, consultants or any type of user for your Trac System. Once SurveyTrac has been purchased, Redrock Software will need to be notified in order to activate the Module on your Trac System. 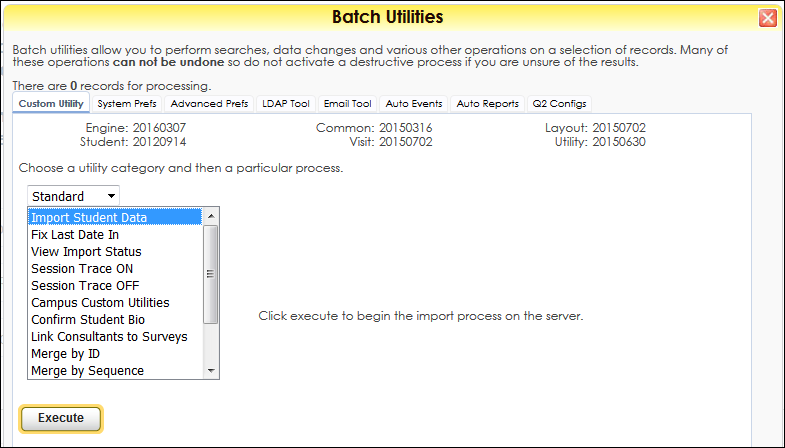 Once the module has been activated, a new option will appear in the Trac Navigation called “SurveyTrac Management”. If you do not see this option or would like to allow other Users access to the surveys, simply check the box in their User account privileges. 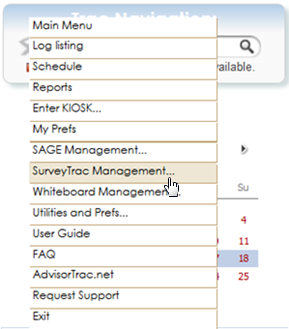 After checking the box, ‘Allow Access to Surveys’, in the administrator user account, the user will have a link in the Trac Navigation, Tracman Icon to SurveyTrac Management. Select ‘New’ from the top of the Survey Listing. An empty Survey screen appears allowing the user to enter the survey information. Display During Appointment Creation – Will display on the appointment screen as an appointment is being booked. Display During Visit Entry – Will display when logging in for a visit. Email after Visit – Will be emailed to the student or tutor/advisor after every visit. Email after 1st Visit during this survey period – Will be emailed to the student after their first visit during a given date range. Email after New student record – Will be emailed to the student after their record has just been created. Show at Entry – Displays to the student as they sign in for a visit. Show at Entry before 1st Visit during this survey period – Will be emailed to the student before their first visit during a given date range. Show at Exit – Displays to the student or advisor as the student is signed out. Show at Exit after 1st Visit during this survey period – Will be emailed to the student after their first visit during a given date range. Main Menu or the tutor/advisor Main Menu. Do not Auto Send – No sending options selected. Link on Edit Student – Displays as a link on the Student Listing and Student Entry screens. Click the link to email the survey to the selected students. Link on Edit Visit – Displays as a link on the Student Listing screen. Click the link to email the surveys to the students matching the visits. Display on Document Posting – Displays as a link on the Student document posting screen. Once the survey has been saved, there will be six additional tabs to each Survey: General Info, Options, Advance Opt, Questions, Preview and Responses. The General Info tab of the Survey allows you to create Instructions and a confirmation message that will appear as the body of text in an email survey. The confirmation will not appear in the surveys displayed during the appointment creation, at entry, or at exit. Allow Modification - Check this box to allow the student to go back to a survey and change their responses. Uncheck the box to prevent students from changing their previous responses to the survey. Survey Period (Active Dates) - A survey may be activated during a specific date range entered here. These dates will automatically make the survey Active/Inactive as the dates arrive. Display Format - Currently, format is to display all questions at once. Questions directed to Client/Student - Check this box to send the email surveys to the student, or display the surveys on the student’s screens. Questions directed to Tutor/Advisor/Counselor - Check this box to send the email surveys to the tutor/advisor, or display the surveys on their screens. Questions directed to Faculty/Instructor (email only) - Email questions to Faculty / Instructor. Questions directed to email - Check this box to email the survey directly to an individual email address. Link Survey to Reasons - This will send a survey for specific reason that students/tutors selected when logging in. Link Survey to Subjects - This will send a survey for specific subjects that students/tutors selected when logging in. Notify Results to email - This email address receives the results of each survey response. FitnessTrac, create assignment record named - For FitnessTrac customers only. 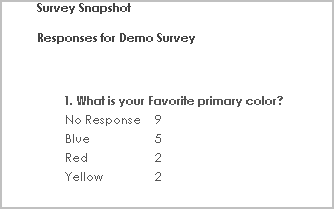 Additional Formatting - You can format your survey as a table with two columns, provide a default label for your answers, and provide a subject for the email surveys. Additional Storage - Include information about the student/visit without asking questions in the survey. The Question Entry page of the Survey sets up the questions for the survey by determining the question, type, choices, and format. Enter the question information and click Save to create the question. Checkbox – Provides a checkbox for the question. Check for a positive answer. Pulldown – Provides a list of answers available in a pulldown menu. List – Provides a box of the possible answers to the question. Radio Choices – Provides a list of choices with buttons to select an answer. Fill in – Allows a single line for an 80 character typed response. Essay – Allows a text box for a full text response. 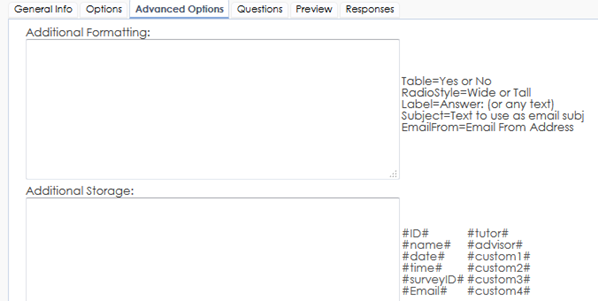 Multi-check – Allows the user to select multiple answers to a question. STATEMENT – Displays the question as instructions or a statement. SCRIPT – Allows a customized script to be initiated on the survey. The Preview tab is where you can view your entire survey and make any necessary changes. The Survey Responses page allows you to access the responses from the surveyed population. There are different options to gather the response data; view the text and import it to another application, displaying a chart or run a snapshot report of the Survey data. We hope that you find this newsletter helpful and as always if you have any questions on this or any other features, please feel free to let us know by emailing Helpdesk@go-redrock.com or submitting a ticket. Enter any comments below. Did you know that 90% of text messages are read within 10 minutes? How about that on average people will look at their phones 150 times a day? This makes it an effective way to communicate important information to students, such as appointment confirmation, appointment reminder, if an appointment gets cancelled or even just general information that you would like to inform groups of students. There are many ways to communicate with your students, but when it comes to reaching them everywhere in the quickest amount of time, nothing beats text messaging. In this Newsletter we will take an in-depth look at the TextAlerts module and how it allows notifications to be sent to students via Text messages. If a student decides to opt in to the program, they can send an activation code to an address determined by your campus, and receive appointment reminders, cancellation notifications, or confirmations via Text messages. Front Desk workers or Consultants can also send quick text messages directly off your Center’s Log Listing, to notify students to come to a different appointment location, of if there is a delay in start time, or a last minute cancellation. If your server currently does not meet these requirements, a discussion between your campus’ IT and Redrock Software may be needed to make sure the correct connections are being made. Once the TextAlert Module has been purchased, you will need to contact Redrock Support to activate the module on your Trac System. 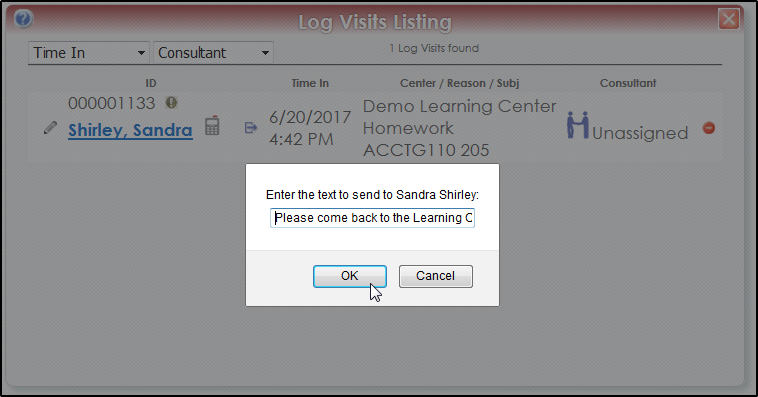 After the module has been activated, students will have the ability to activate their text message alerts when they log in to the Trac System. 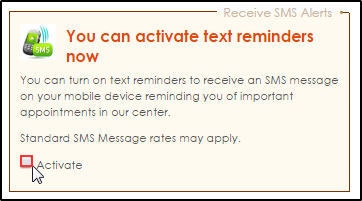 Because text messaging rates may apply to your students, they must request to receive the text message alerts. 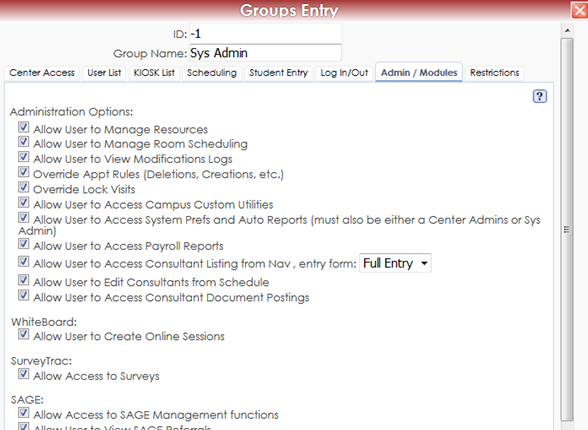 When the student logs in to the Trac System they will have a new option in the upper-right corner of their main menu. This new section allows the students to activate the TextAlerts for themselves, by clicking the “Activate” checkbox. 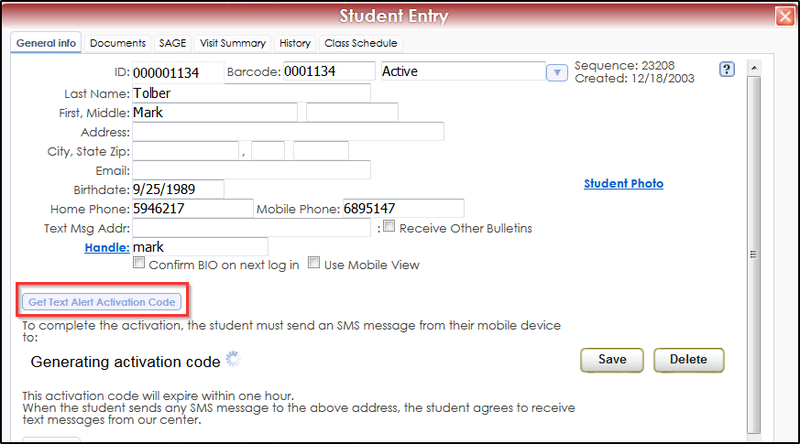 The TextAlert setup options will now appear and the student will receive a unique Activation Code. 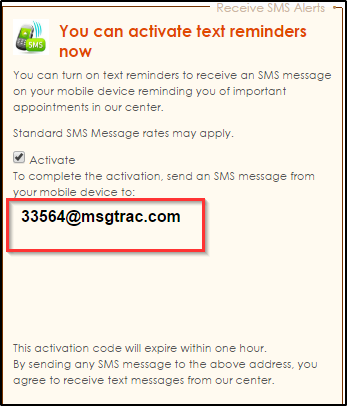 The Activation Code is requested from the server at msgtrac.com, so it may take a few seconds to generate. The code is a unique email address that is set up to accept text messages. 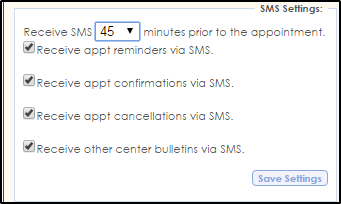 Along with receiving an Activation code, the student will also be able to set up their individual SMS Settings and determine how many minutes in advance of their appointment they would like to receive a TextAlert regarding their appointments and choose which notifications they would like to receive as Text Messages. Click “Save Settings” to complete this step. 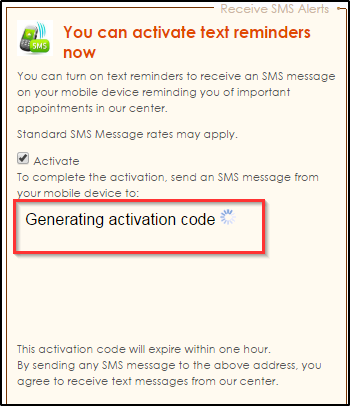 To complete the setup process for TextAlerts, the student must send a text message from their mobile device to the email address provided with the unique Activation Code (please note that this code does expire within the hour, so if they do not use it within that time frame they will need to generate a new code). The body of the text is not necessary and has no effect on the setup and activation process. By sending any text message to the displayed email address, the student agrees that they would like to receive the TextAlerts from the Trac Application and that the student is responsible for any and all text messaging rates imposed by their service provider. 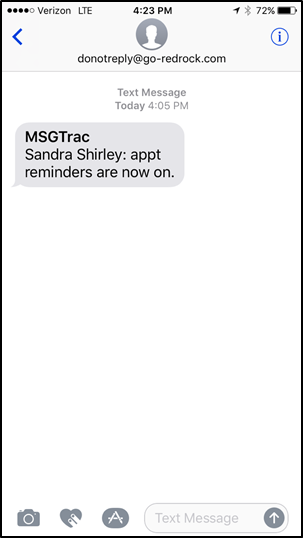 Your Trac System will then send a confirmation message to the student to let them know that their account is now set up to receive Text Alerts. 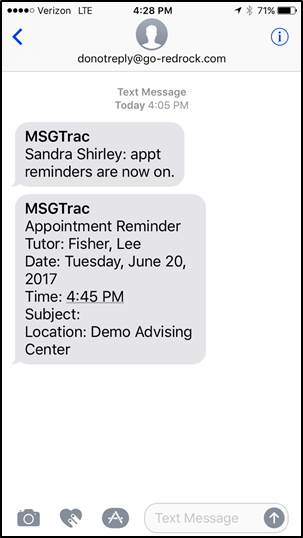 Now that the student has opted-in to receive Text Messages, when the student has a scheduled appointment with a consultant, your Trac System will now alert the student of their upcoming appointment via Text Alert according to the settings the student chose in the setup process. If your students do not have access to log in to your Trac System, it is possible for other Users to still be able to generate an Activation code for Students. All they need is the correct permission that can be found by going to the Trac Navigation -> Search Glass -> Center Profiles -> Select your Profile -> Group Access tab -> Select the group that you would like to generate codes for students -> Admin/Modules tab -> Check the box for “Allow User to Generate Activation Code for Student” -> Click Save. 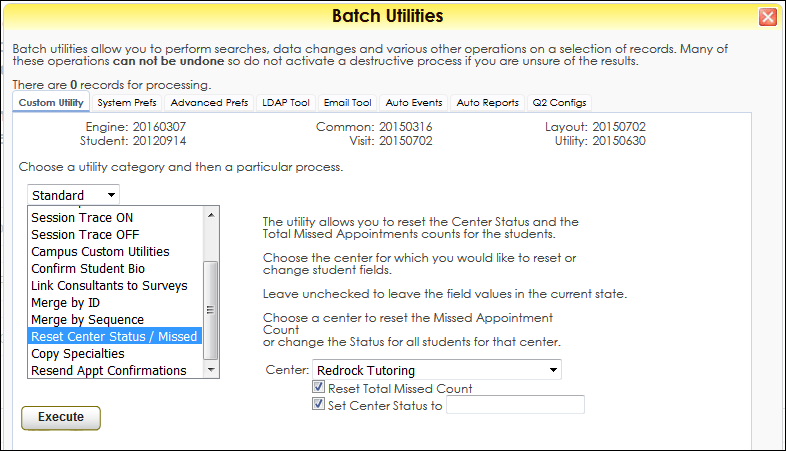 This is also where you can set default text to the student from the Log Listing that we will take a look at next. 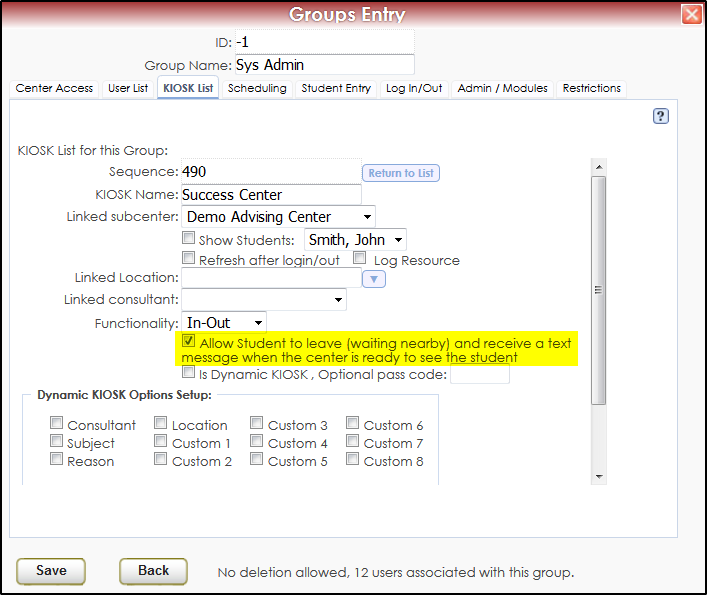 Once this has been activated, Users in that group will be able to pull up any Student Profile and be able to generate an Activation Code for the student to opt-in. If they click “Yes” it will have them confirm their number if they have already opted in to receive TextAlerts and if they haven’t already opted-in, it will generate an activation code so they can opt-in at that time. 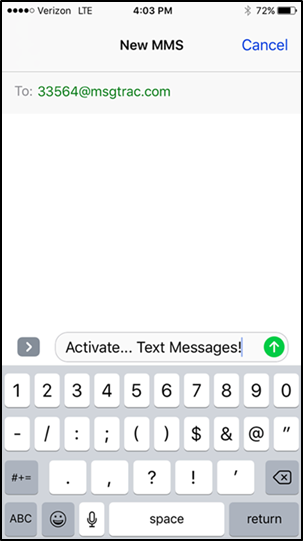 This is a great way for students to be able to generate the Activation Code themselves and opt-in to receive text messages from your Center. Check out below to see how you can send a message to a student once they have logged in and opted to receive a text message. When a Student is logged in to your Center and when looking at the Log Listing you can easily identify the students that have opted in, because there will be a phone icon just to the right of their name. When you click on that phone icon, a text box will appear that will allow you to send a custom (or default as shown above in group settings) directly to the student’s phone. 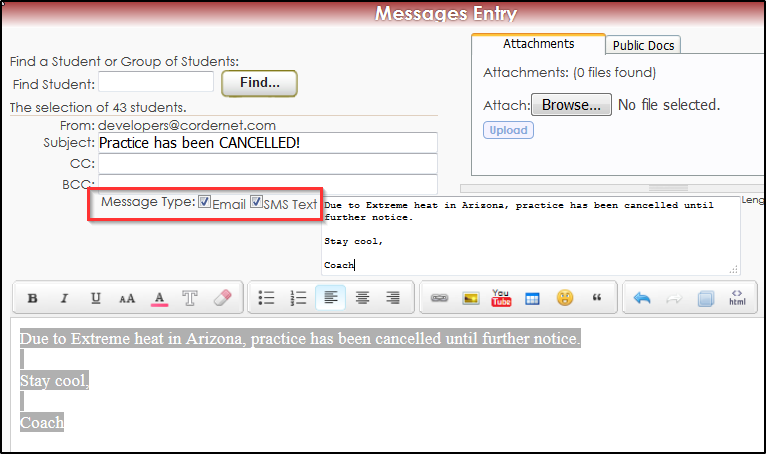 When sending out manual emails in your Trac System, you also have the ability to send that email as a Text Message to all of the students on your list that have opted in to receive TextAlerts. First we will start by pulling up a student list, once that Student Listing is open you can send an email by going to List Options -> Send HTML Note -> Check the “Email” and “SMS Text” box to enter in a custom message that can be sent as both an email and a text. PLEASE NOTE: A text message will only be sent to the students in that list that have opted in to receive TextAlerts, if they have not opted in then they will only receive an email reminder! 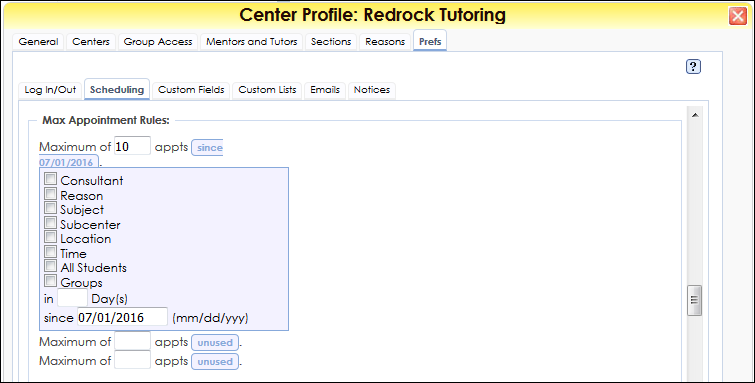 If you have any questions about adding custom questions you can reach us by visiting https://helpdesk.go-redrock.com. As well as you can contact our sales representative, Laura Reed, for any purchasing information by emailing Sales@go-redrock.com. Definitely let us know if you have any additional questions or if there is anything else that we can do for you.